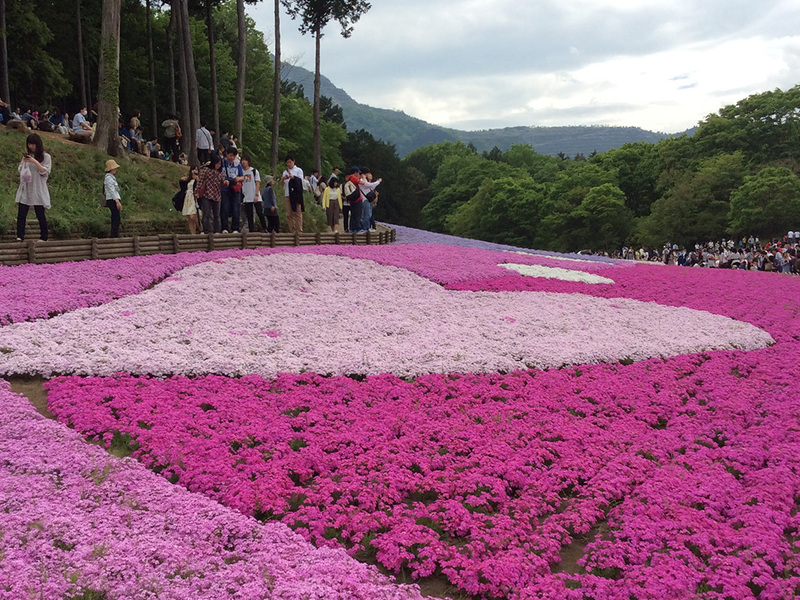 Did you do anything for Golden Week? I’ll concede there’s a small chance this topic is only relevant among people living in Japan and, if it’s coming up in English, it’s only a hot topic among 0.01 percent of the population. But hey, that’s my demographic! 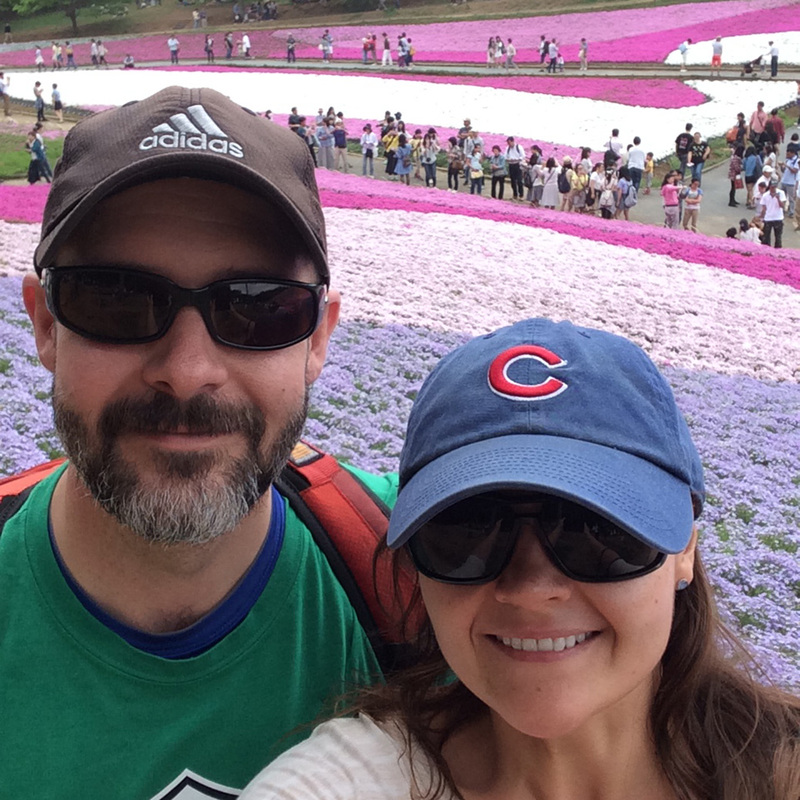 We started our Golden Week with a weekend trip into Tokyo to visit one of our favorite farmers markets and hit up the Cinco de Mayo Festival at Yoyogi Park. 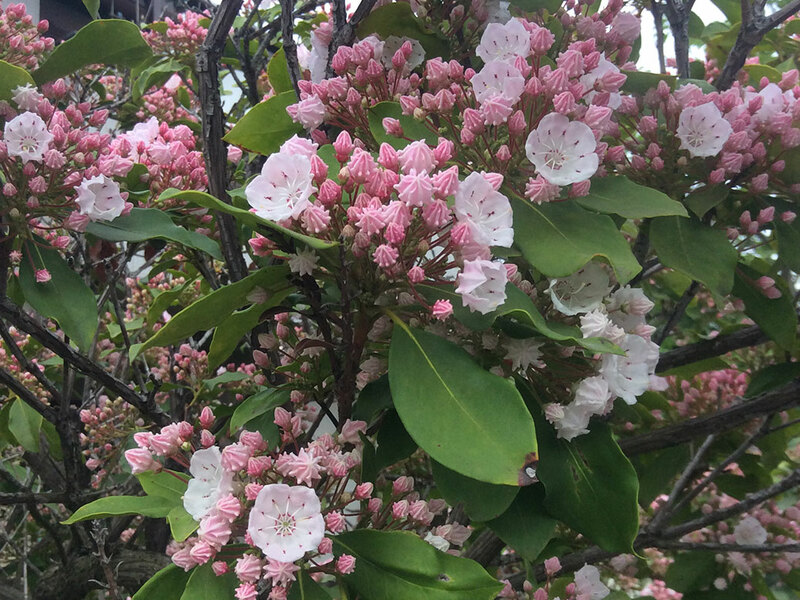 The latest edition of “True Portland”—a high-quality Portland, Ore. guidebook written by Japanese authors in Japanese—was released recently. 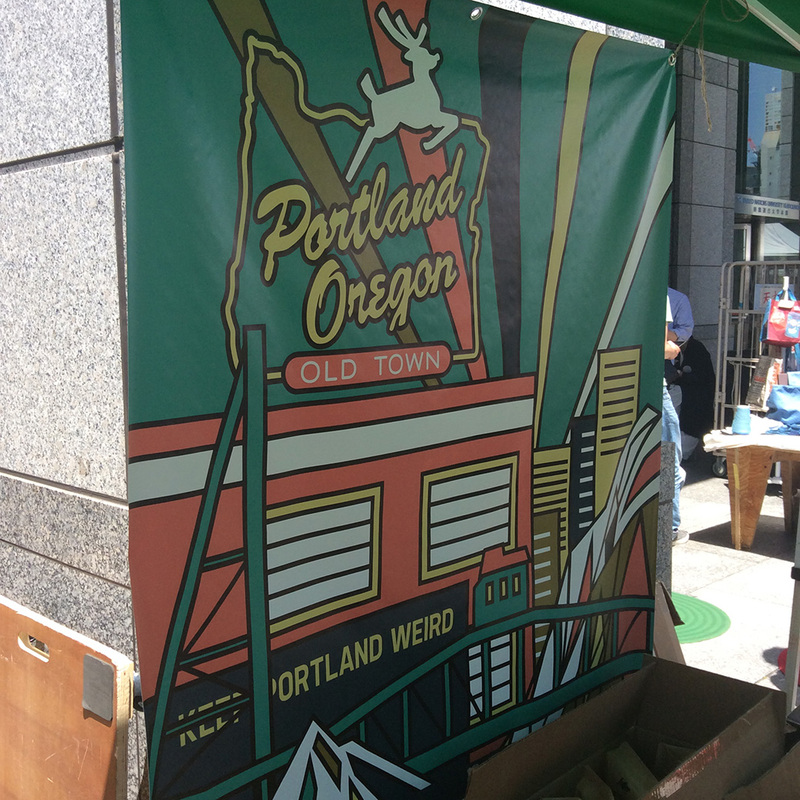 The authors had a pop-up tent at the UN Farmers Market featuring Portland products like Jacobsen Salt and Fuller Foods Serious Cheesy Puffs. 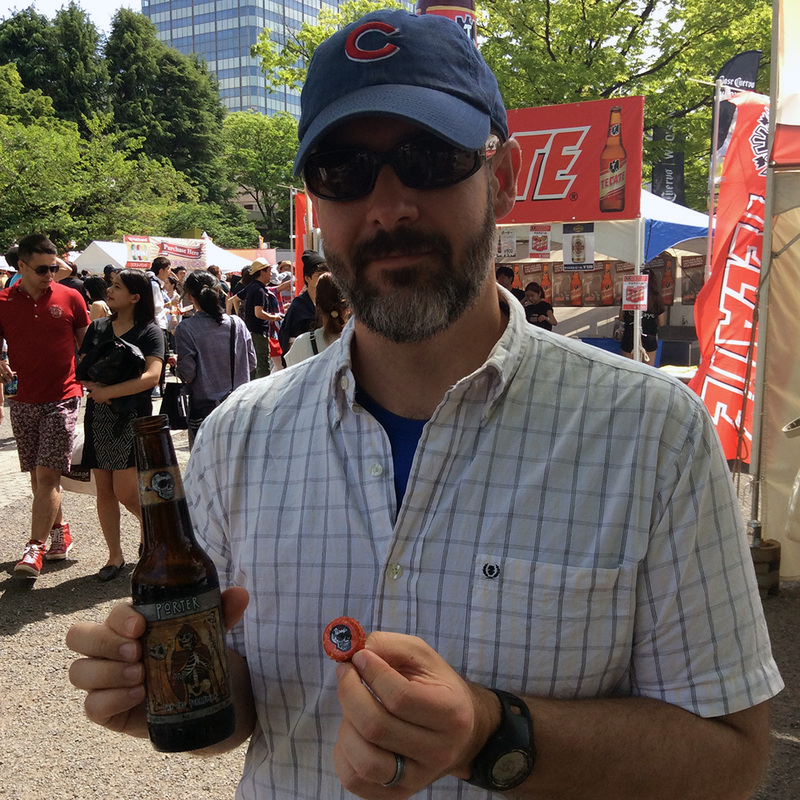 Oregon Beer Geeks is a company in Japan that imports beer from Oregon and sells it online. 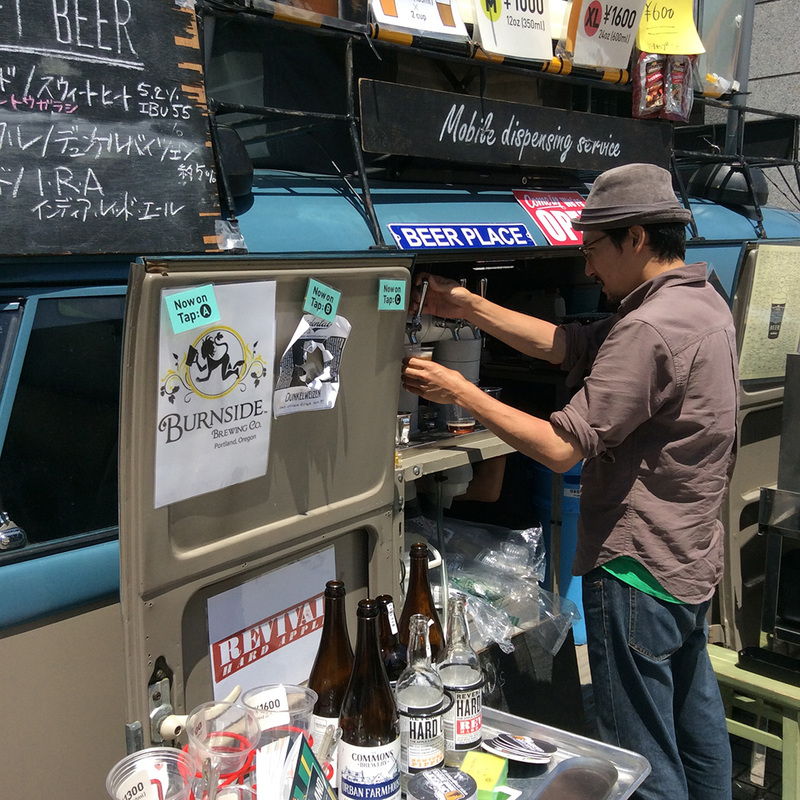 At the UN Market, they had two beers from Burnside Brewing and one from The Commons Brewery, both based in Portland. 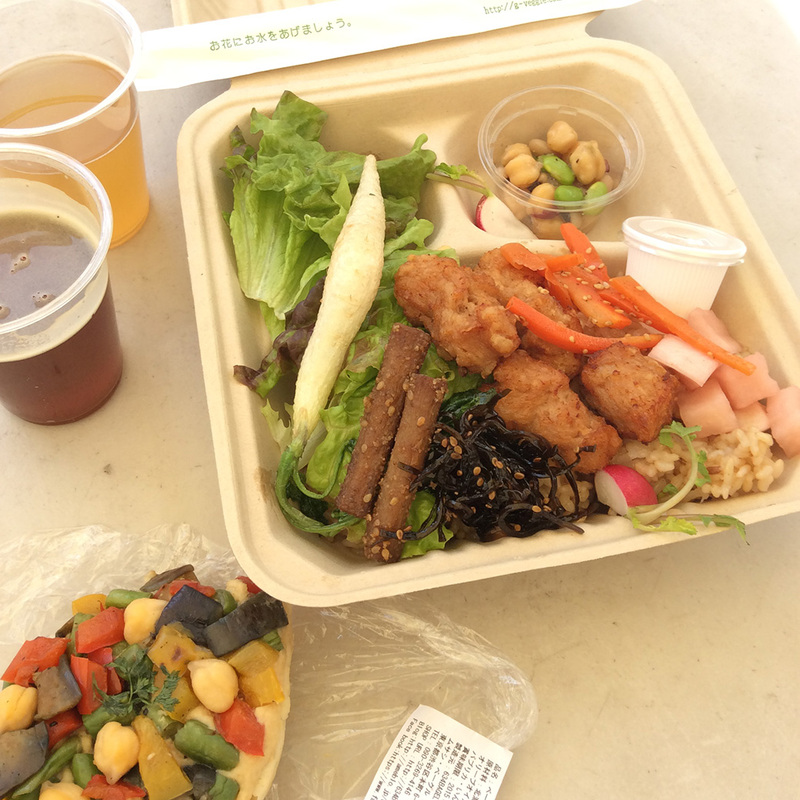 Lunch at the UN Farmers Market—a vegetarian take on Hawaiian plate lunch, a hummus and veggie bagel pizza and Burnside Brewing’s “Too Sticky To Roll India Red Ale” and “Sweet Heat,” an apricot and Scotch bonnet pepper wheat beer. Tokyo’s take on Cinco de Mayo is a lot like America’s take—lots of drinking and sad Mexican-ish food. The best find was probably this Day of the Dead Porter from Mexico’s Cerveceria Mexicana brewery. 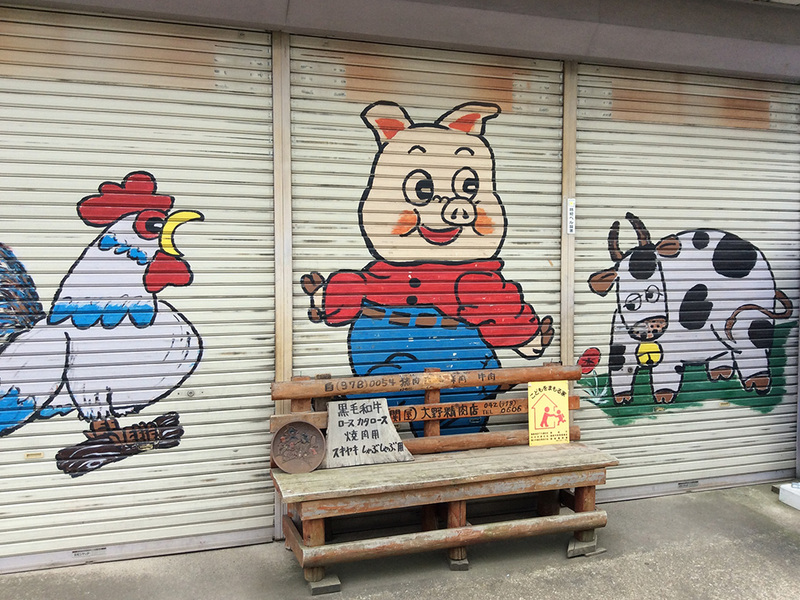 Chichibu is our favorite place for outdoor adventures in Japan. It’s about an hour away by train and is usually pretty quiet. 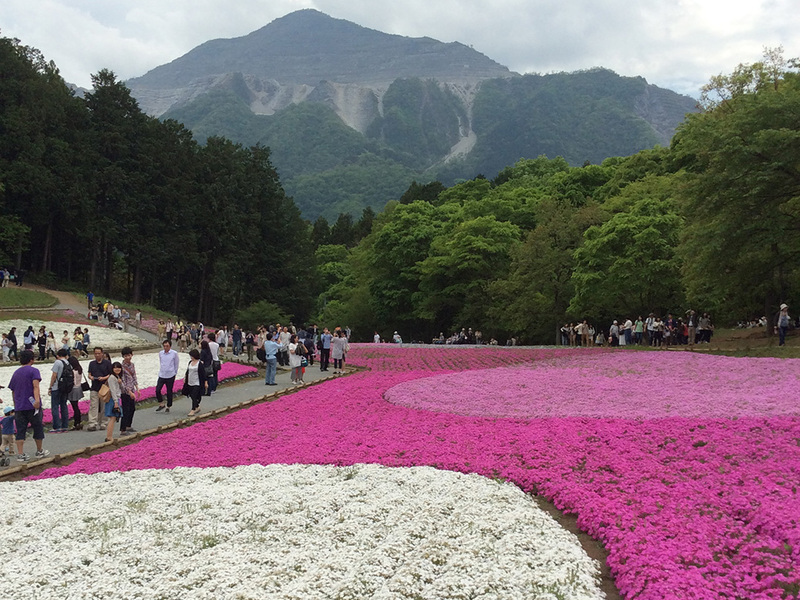 However, during Golden Week, thousands of people descend on the otherwise sleepy town to see the shibazakura or mountain phlox at Hitsujiyama Park. 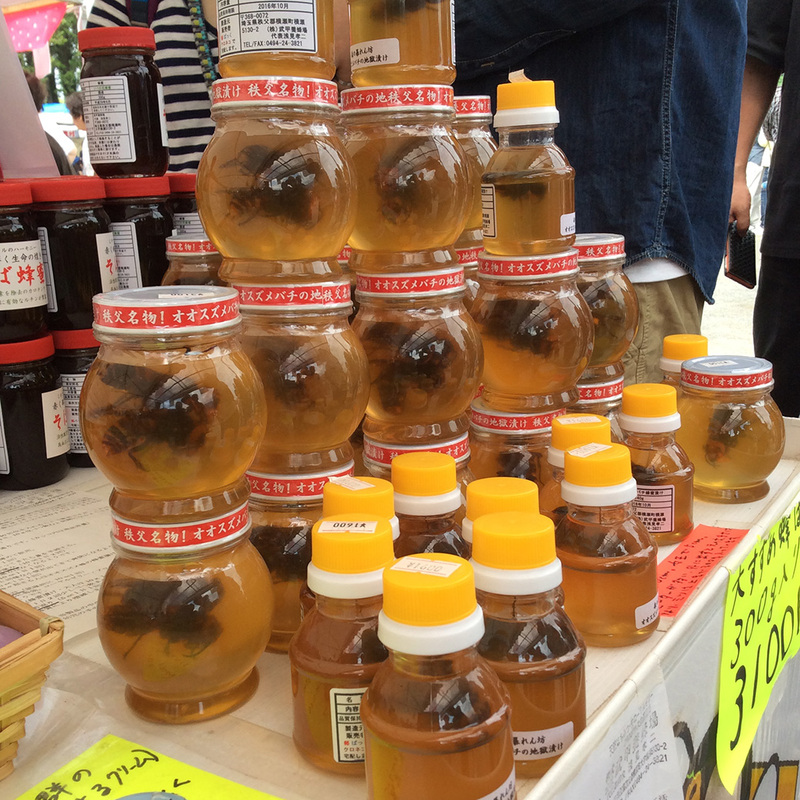 Local Chichibu honey for sale at Hitsujiyama Park. A large queen bee is inside each jar. 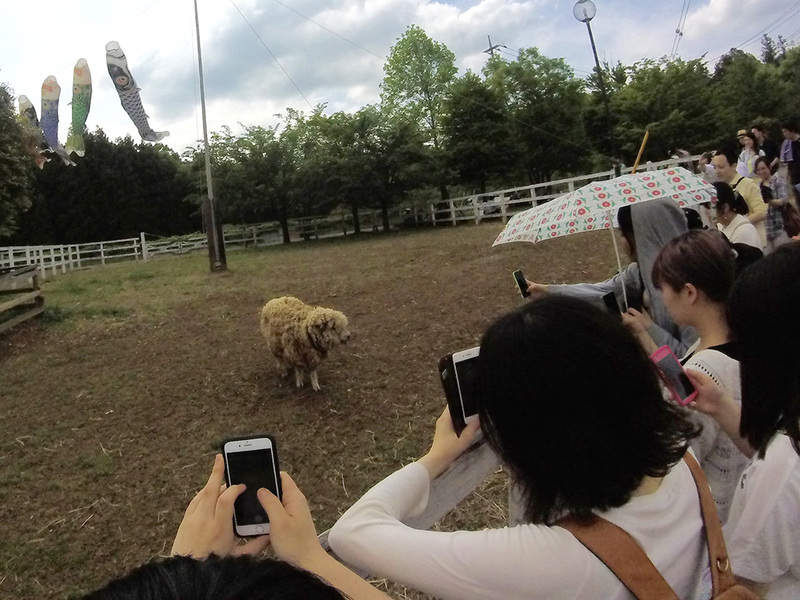 “Hitsuji” means “sheep” in Japanese and “yama” means “mountain,” so the aptly-named Sheep Mountain Park should have a few sheep wandering the grounds. The local paparazzi went crazy for this one. Mt. Buko and a bright red neighborhood shrine. The scarring at the top of Mt. Buko is a result of heavy mining of limestone used for the ever-present construction in the larger cities. 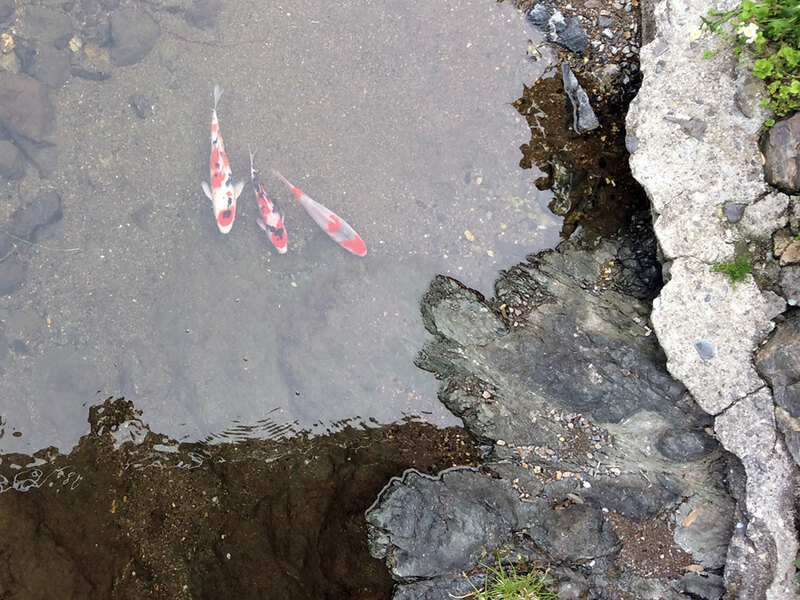 After a day of walking, we went to an onsen (hot springs) in the nearby Yokoze neighborhood. 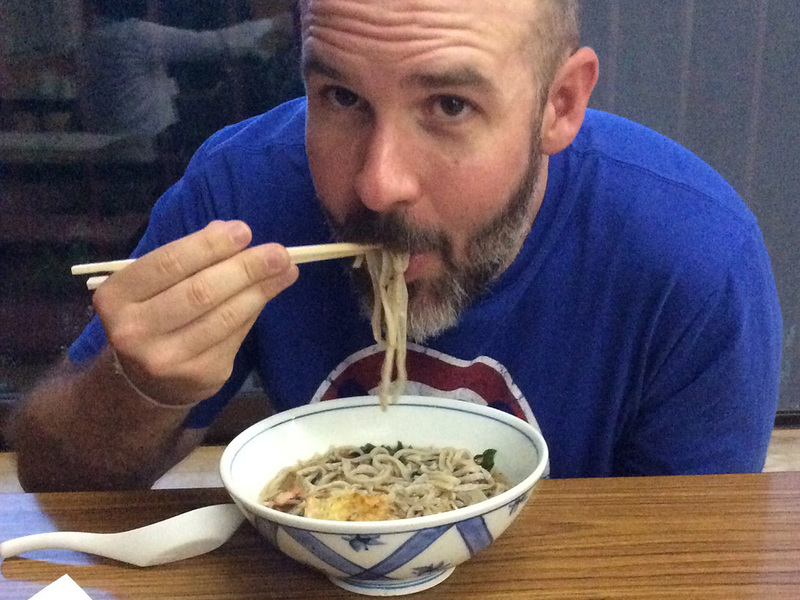 This is proof that I can use chopsticks like a champ! 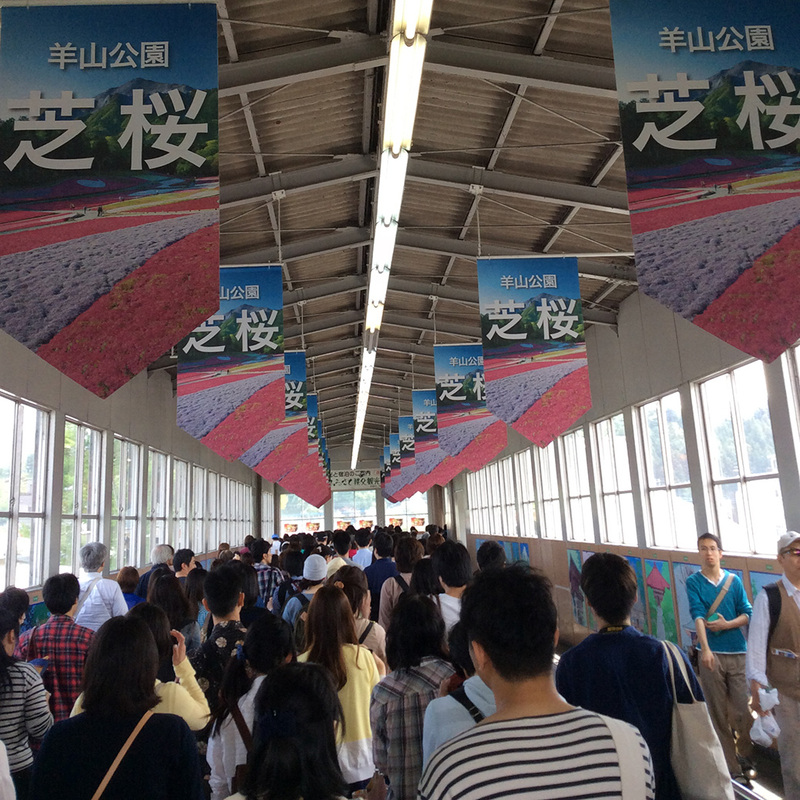 We milked every last second out of Golden Week, heading out on the last day of the holidays to nearby Hanno for some hiking. 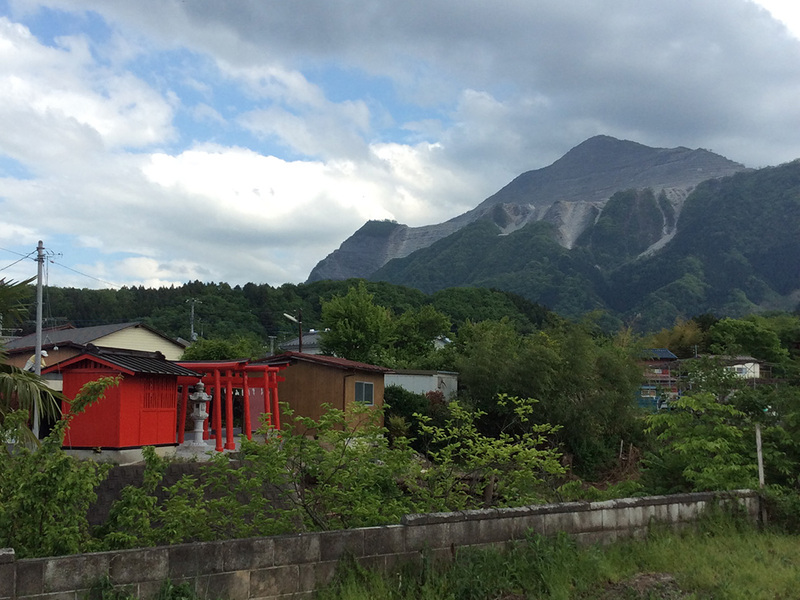 We found a very non-touristy spot called Koburi Pass. We befriended a couple of older Japanese ladies at the train station, one of whom nearly missed the train when she went upstairs to get us some local sightseeing pamphlets. 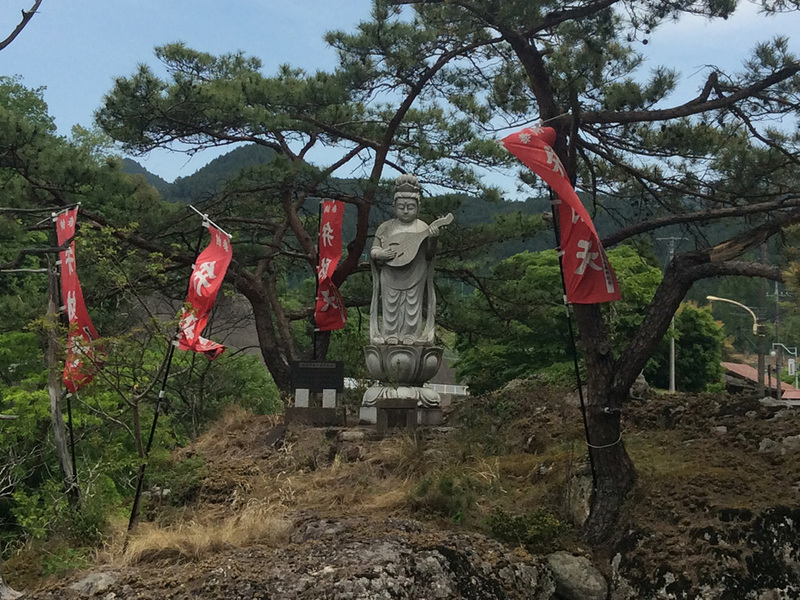 Several small shrines appear along the path, like this one of the Seven Gods of Fortune (七福神). 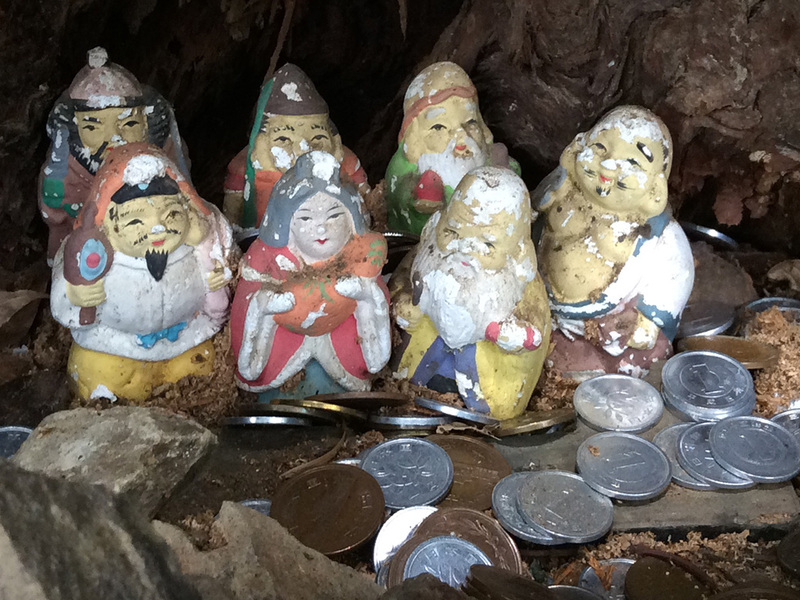 Hikers leave coins at each shrine for good fortune. 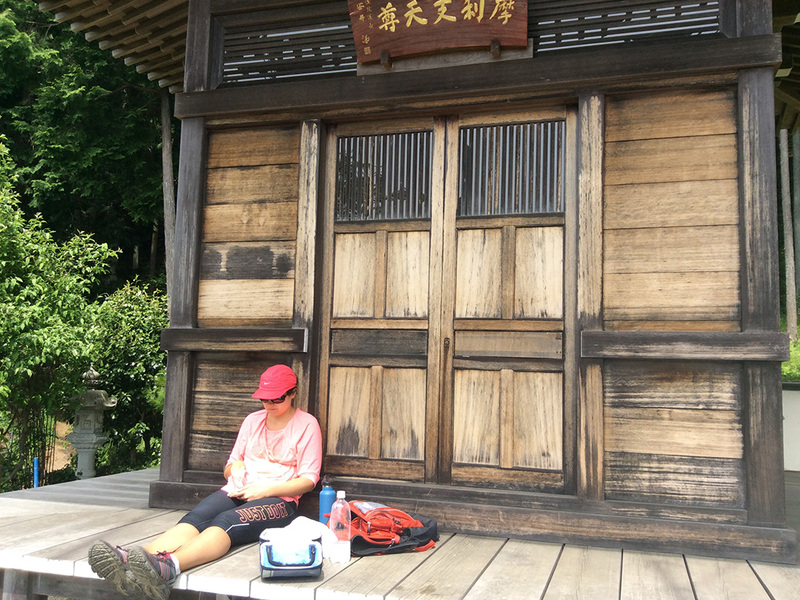 Lunch under the pagoda of Marishiten Temple. 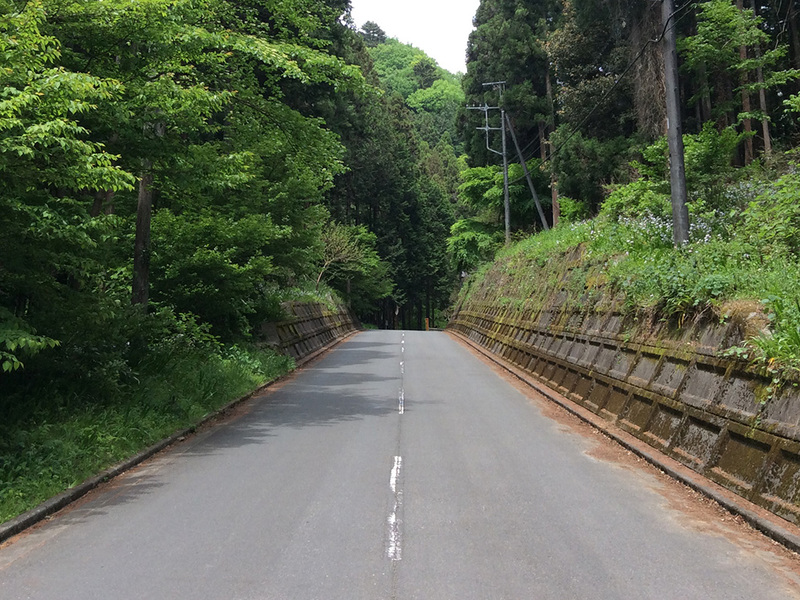 From the very top of the pass, we could look over the entirety of Saitama Prefecture. 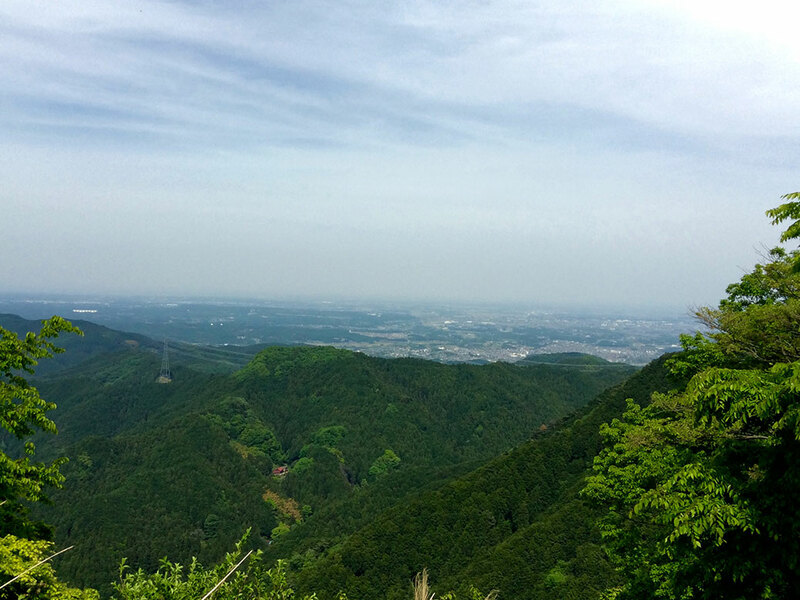 On a clear day, Tokyo Skytree is visible, nearly 50 miles away. 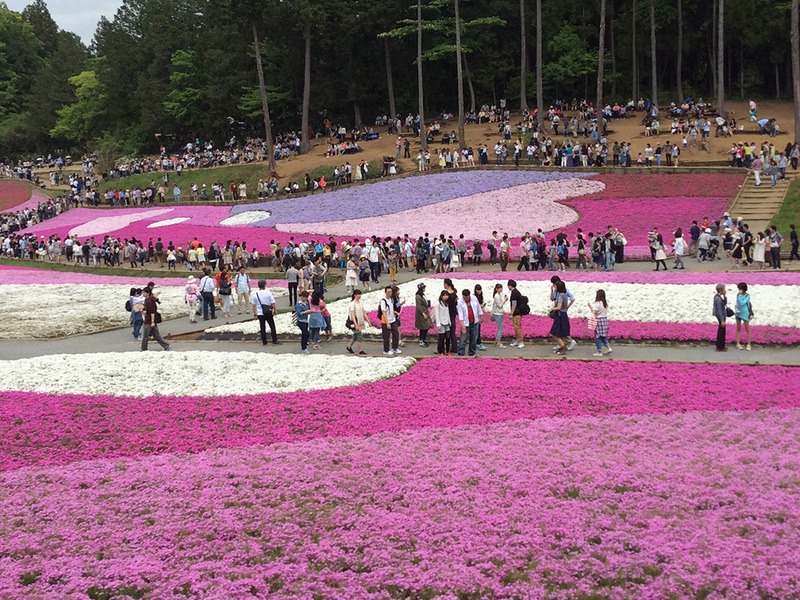 Springtime in Japan in all of its glory. 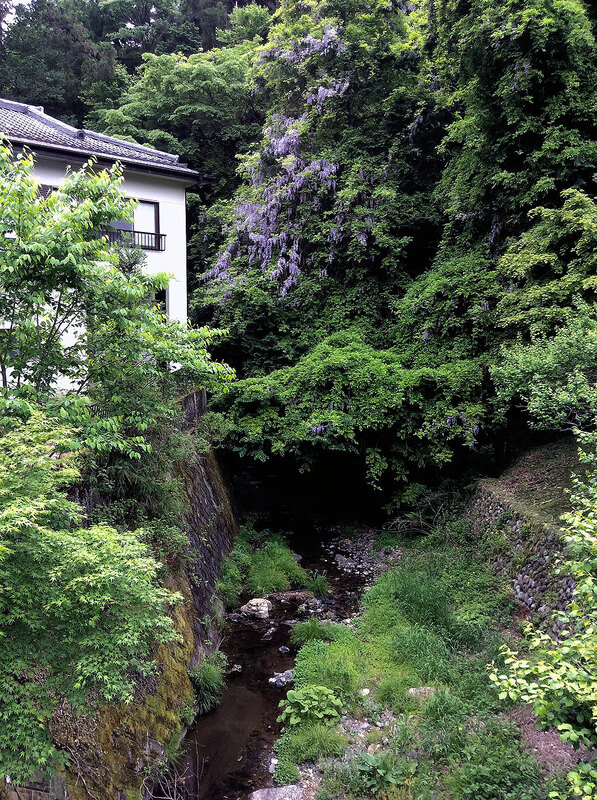 The wisteria trees in bloom. 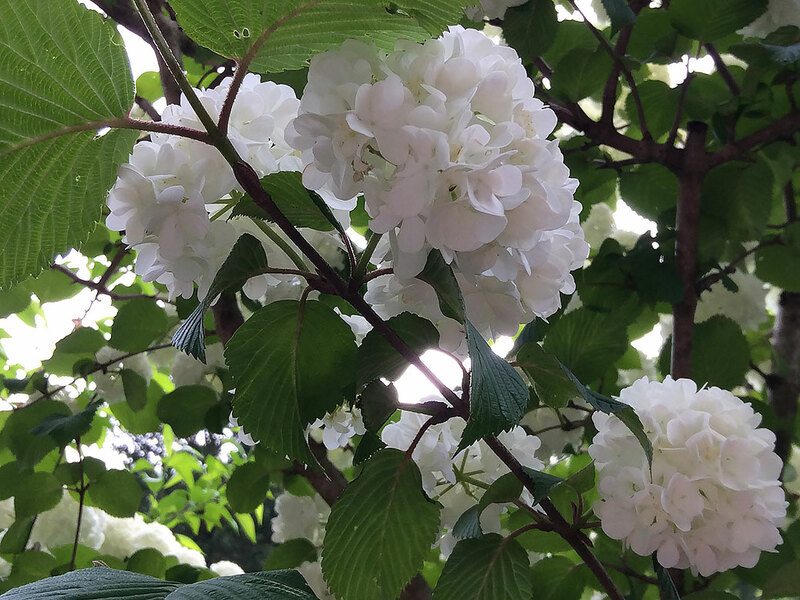 Viburnum plicatum is better known as the Japanese snowball. 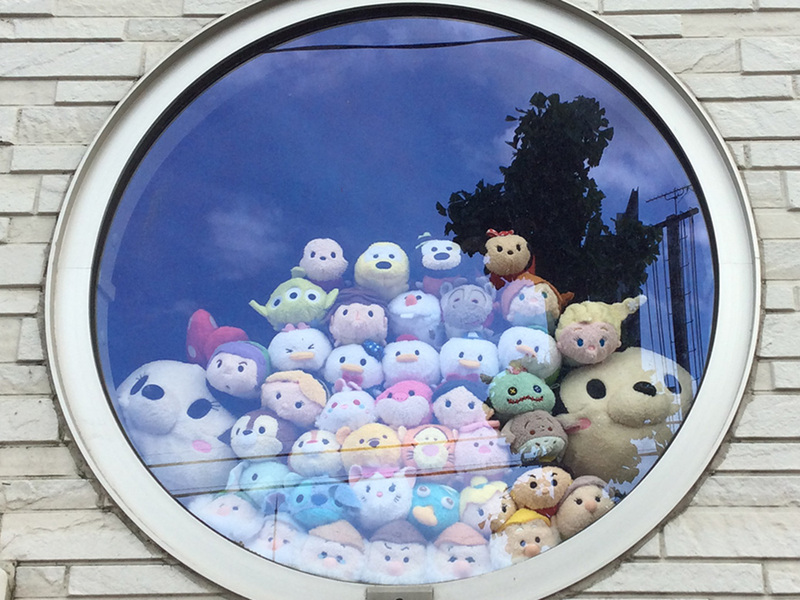 How did you spend Golden Week? Leave a comment below!